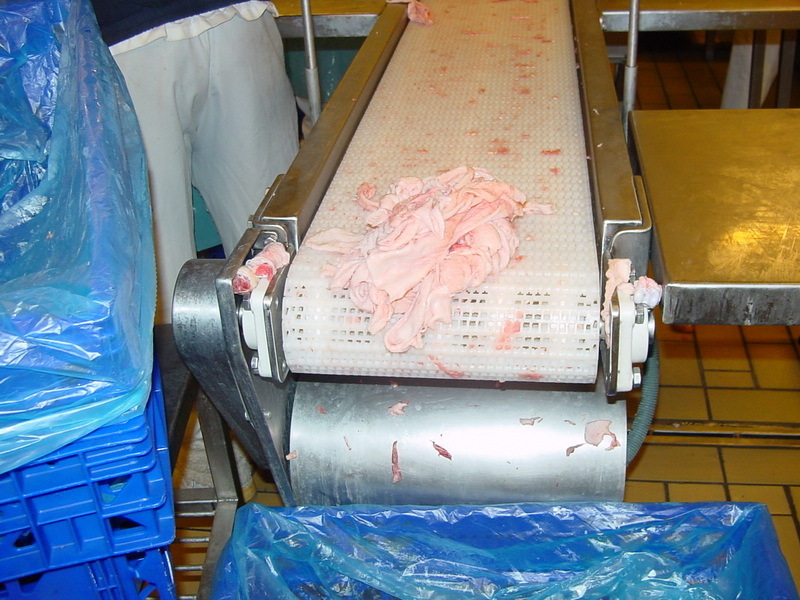 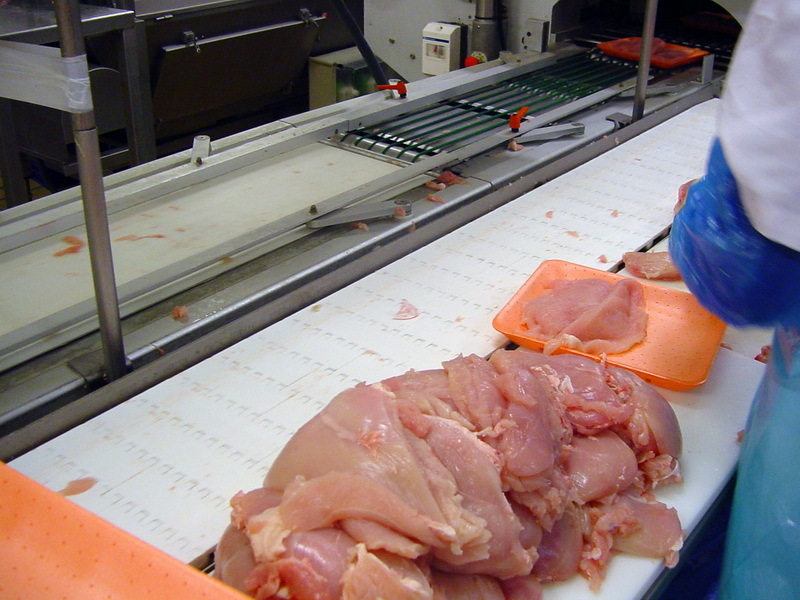 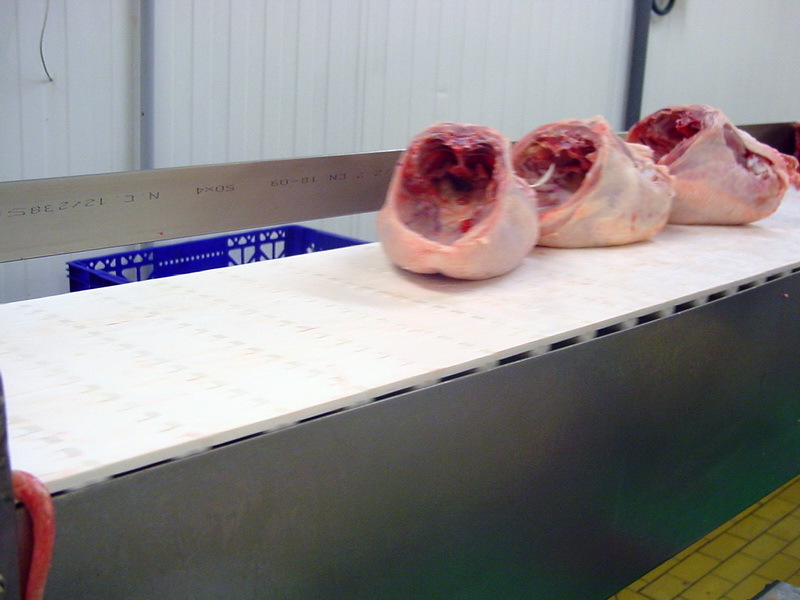 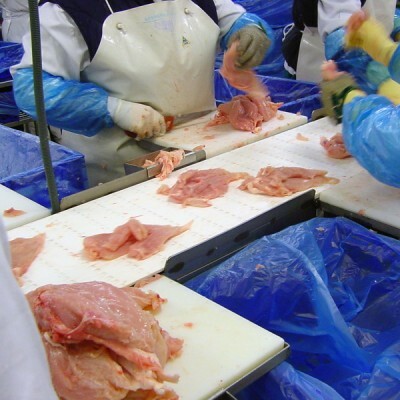 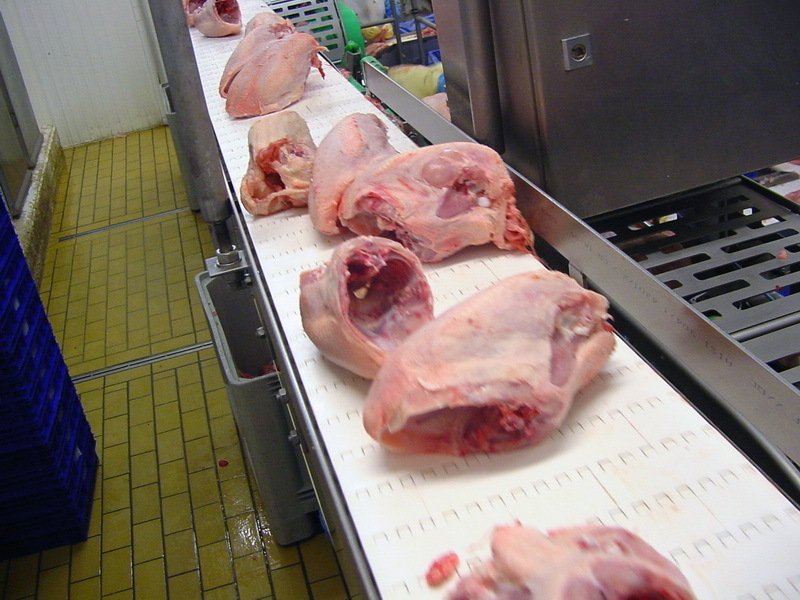 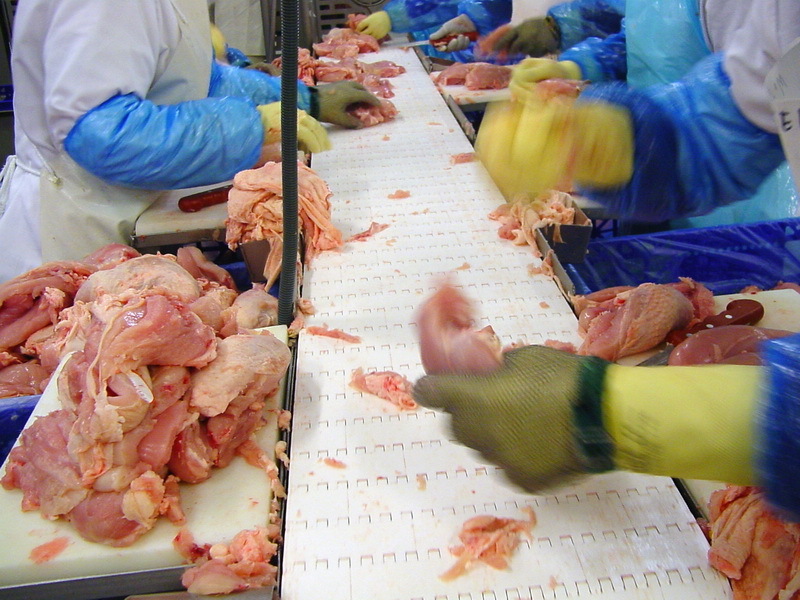 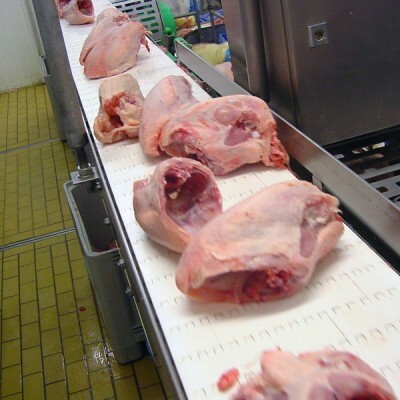 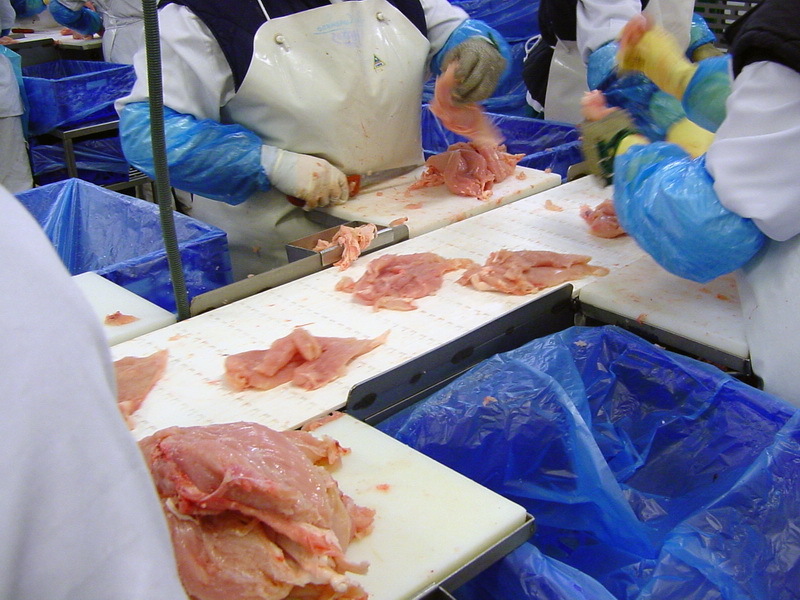 The poultry abattoirs handle a lot of product in their cutting rooms and require a good asepsis. 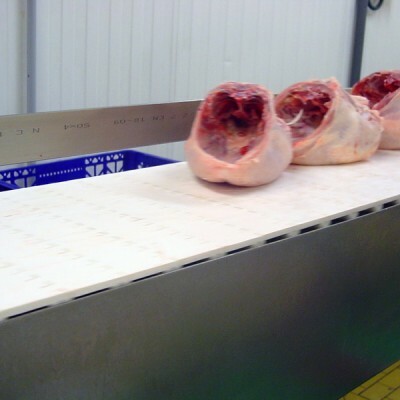 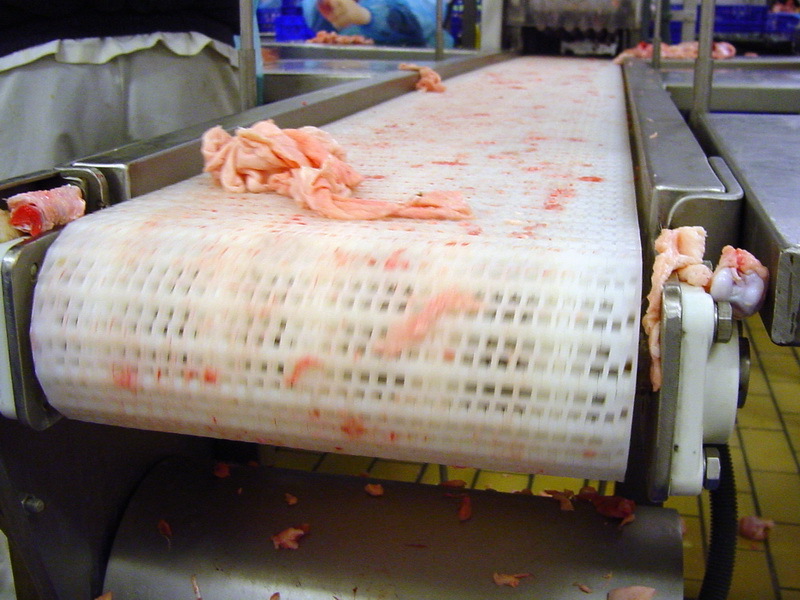 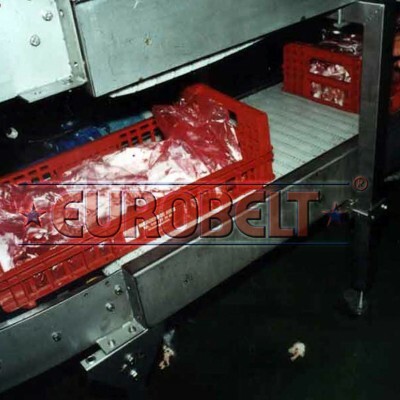 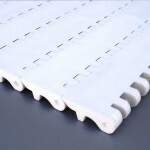 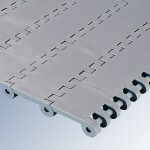 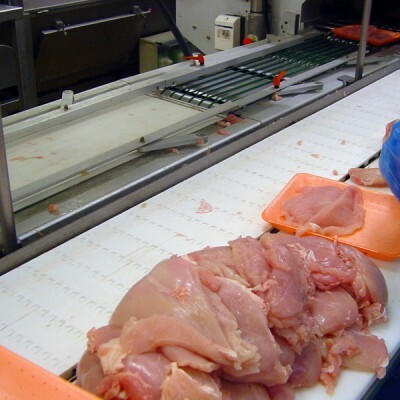 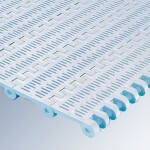 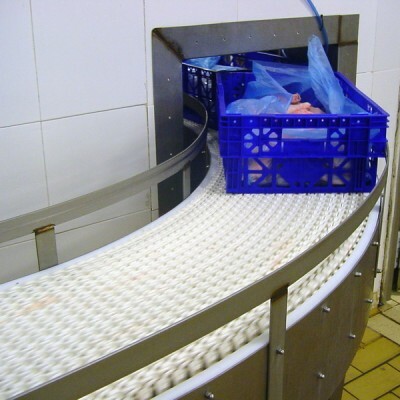 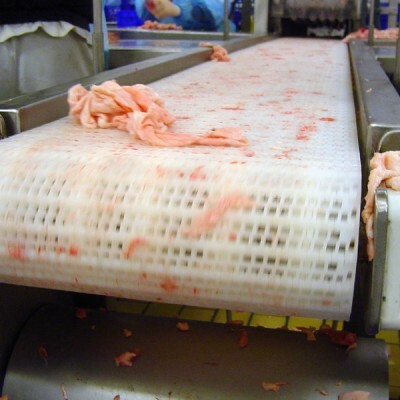 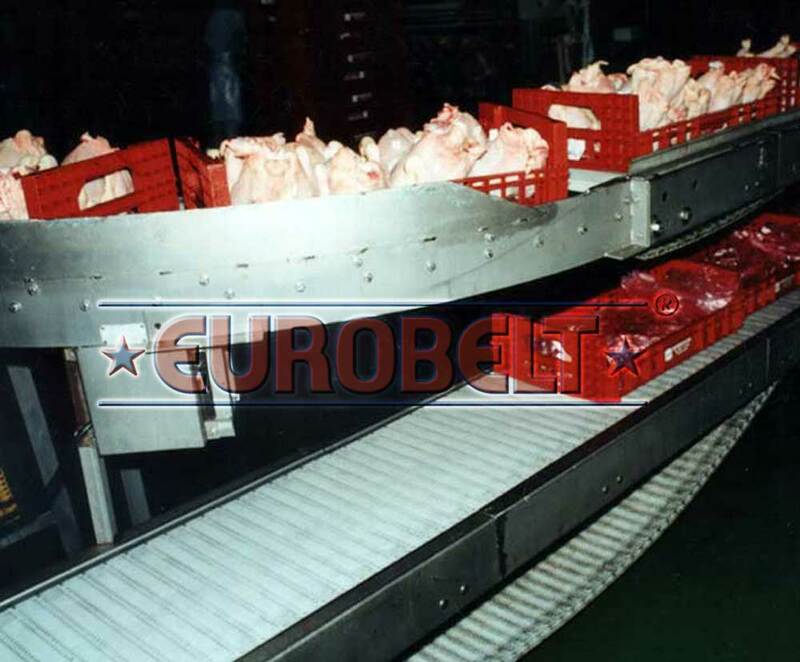 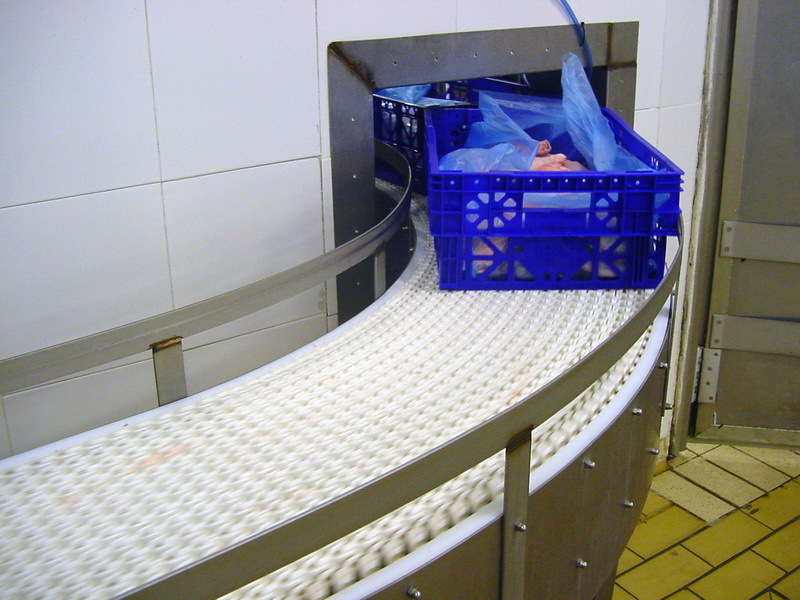 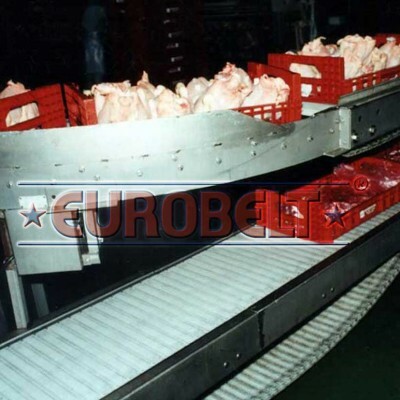 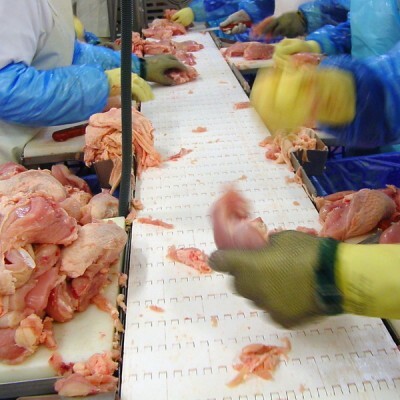 The EUROBELT plastic modular belts enable to convey the poultry meat directly on the belt, as well as inside trays or plastic containers, with the sanitary guarantee provided by the easy cleaning of our belts. 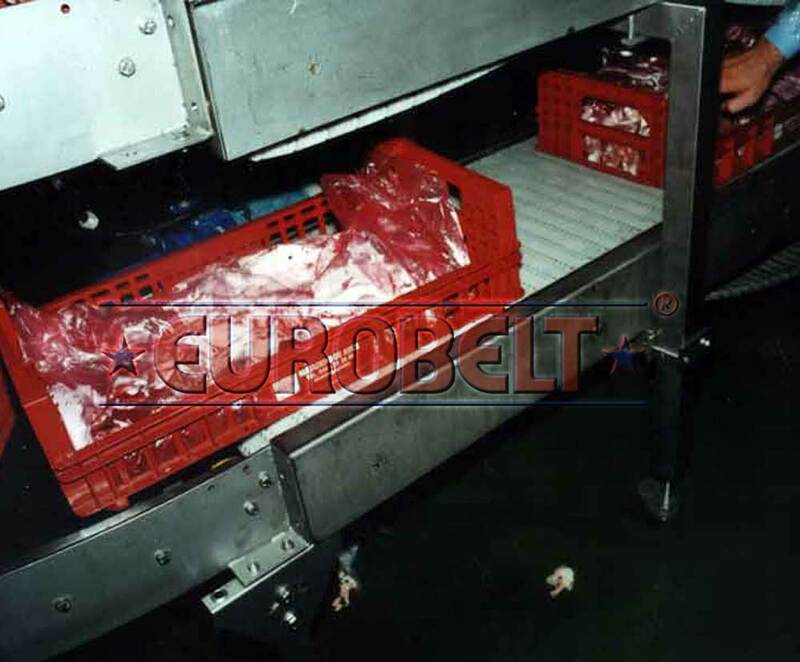 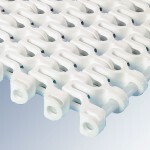 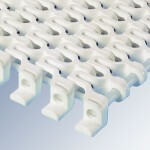 There is no problem in working at low temperatures, so that the product can be frozen directly on our belts, which involves advantages of lightness, flexibility, and frost easy removal. 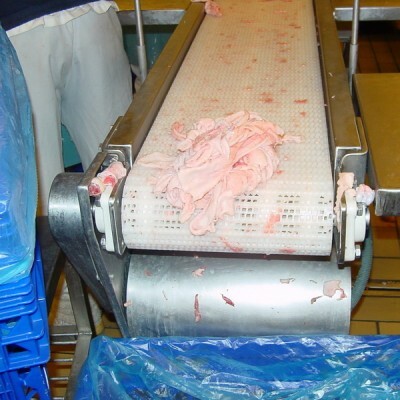 Our belts do not get any smell or retain any bacterial contamination after their proper washing, as they are manufactured with plastics whose absorption rate is minimum.